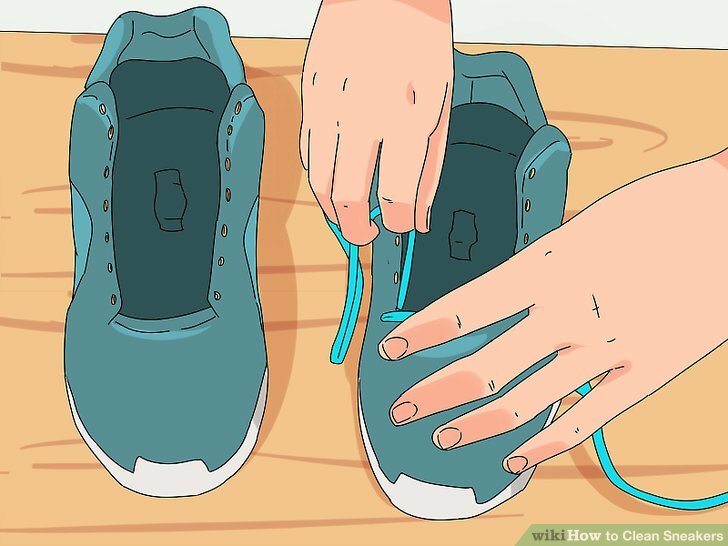 Rub laundry detergent into the stained areas of the laces. 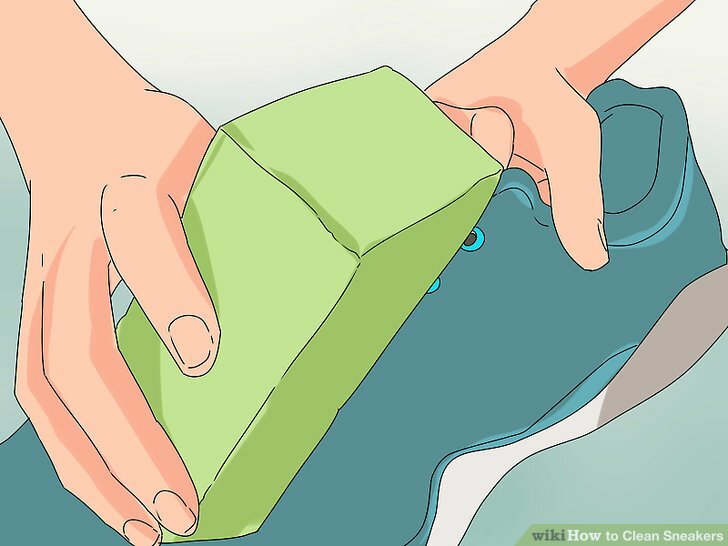 For this purpose, it’s helpful to pour a small amount of laundry detergent into a bowl; should do. 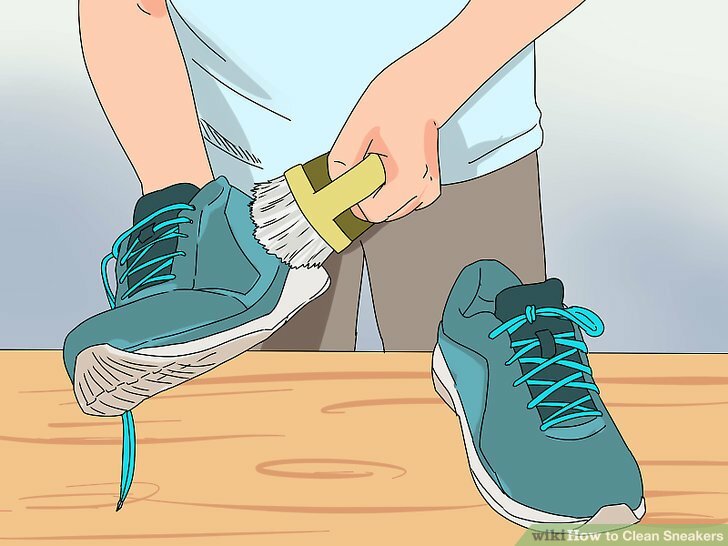 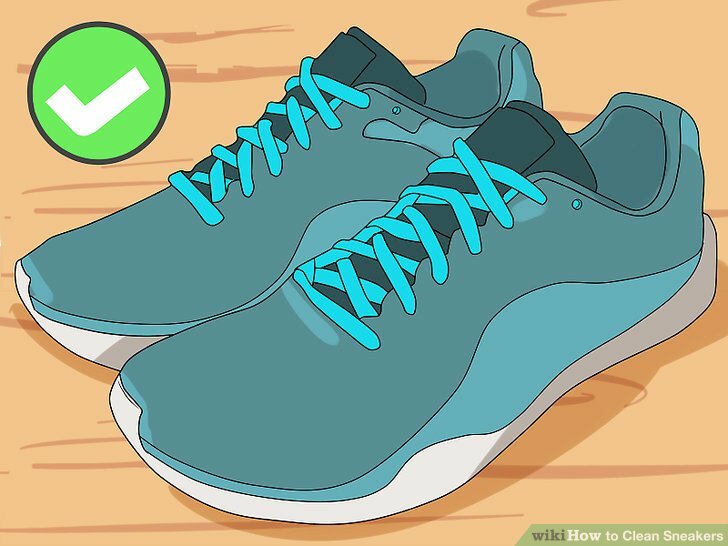 Dip your finger into the laundry detergent, and then rub it into grungy sections of your shoelaces. 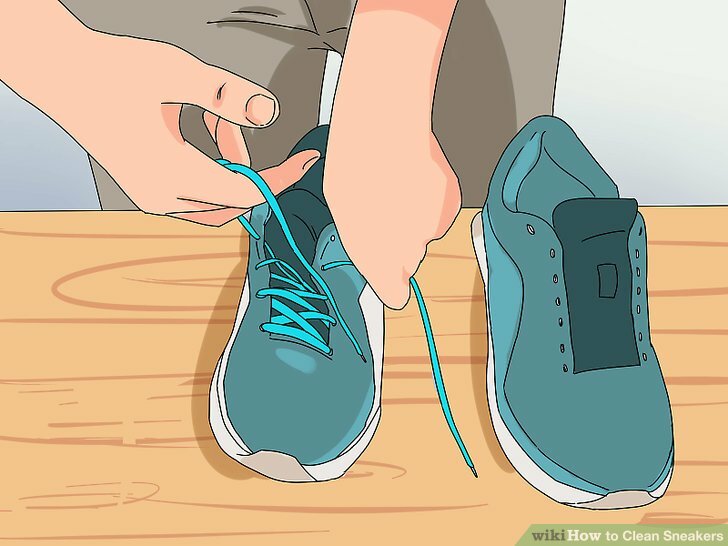 Repeat this step until both laces have been treated. 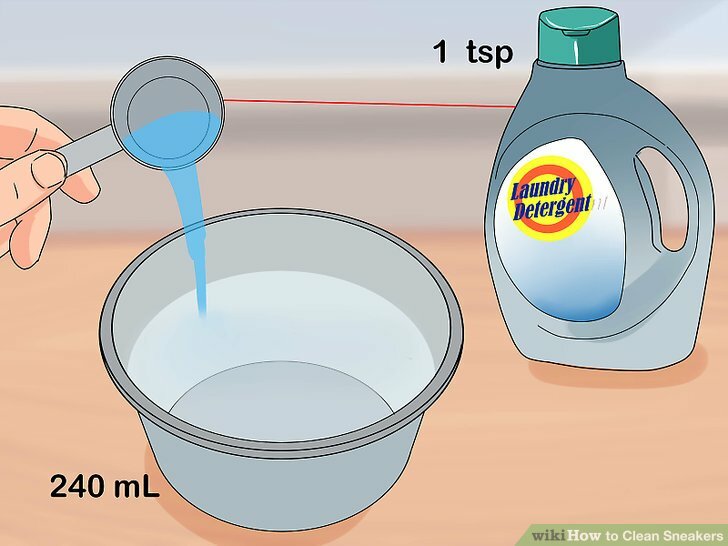 Mix together of laundry detergent and of water. 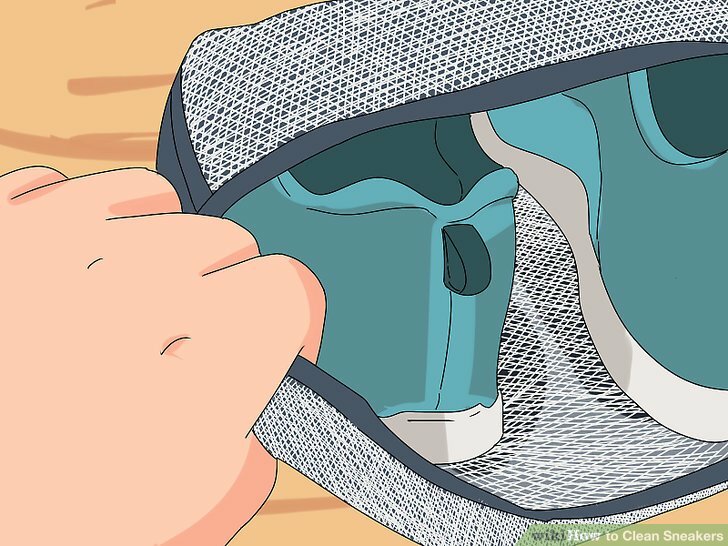 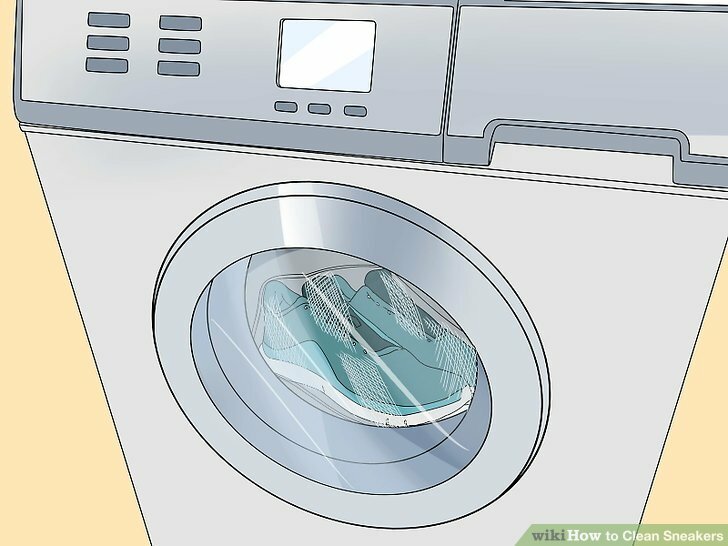 Depending on how much laundry detergent is left in your bowl after cleaning the shoelaces and eyelets, you may not need to add more. 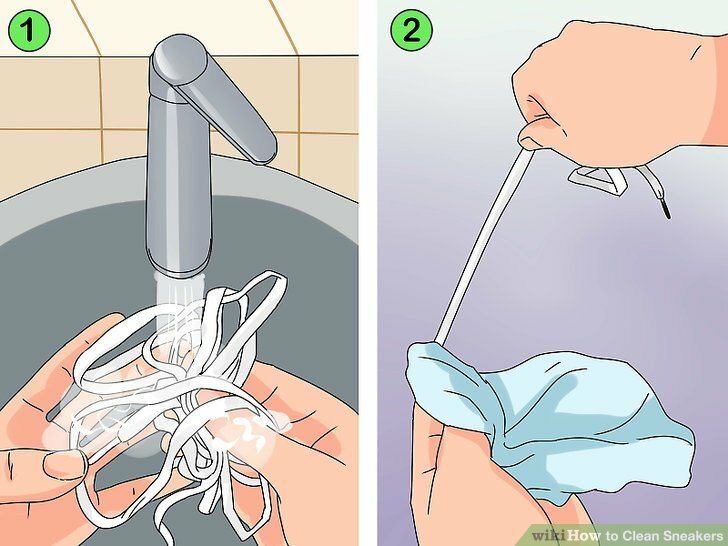 Stir the water and laundry detergent together until the mixture is sudsy. 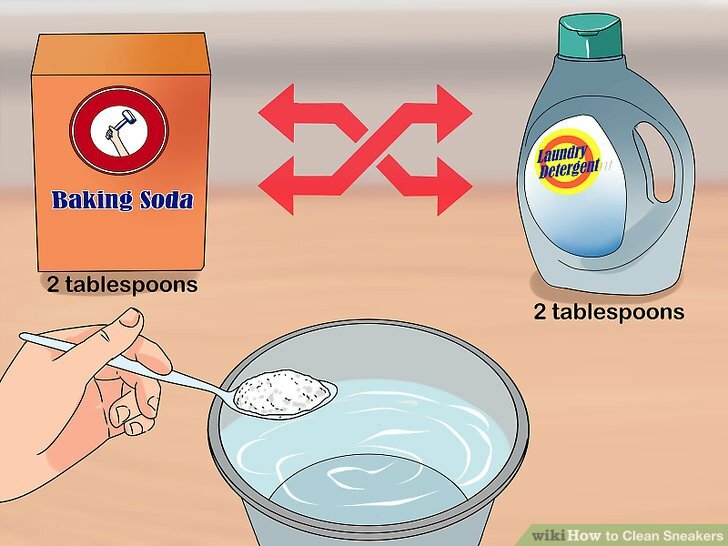 Mix together equal parts of baking soda and laundry detergent. 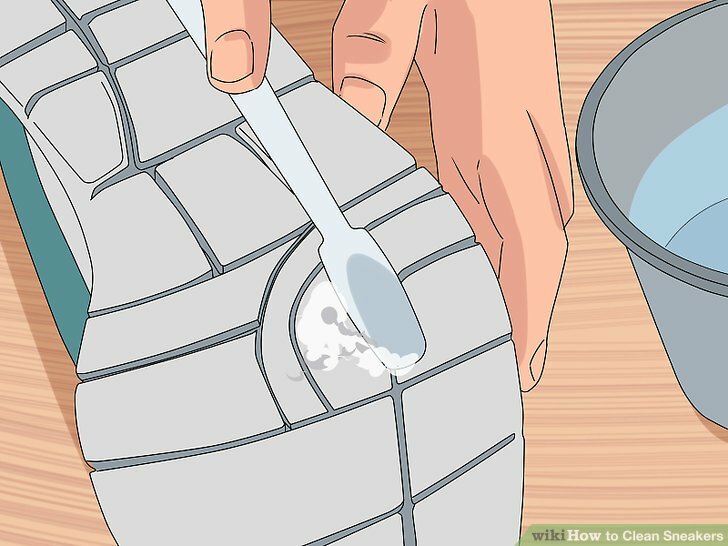 Since you don’t need too much of either ingredient, start off with 2 tablespoons (30 grams) of baking soda and of laundry detergent. 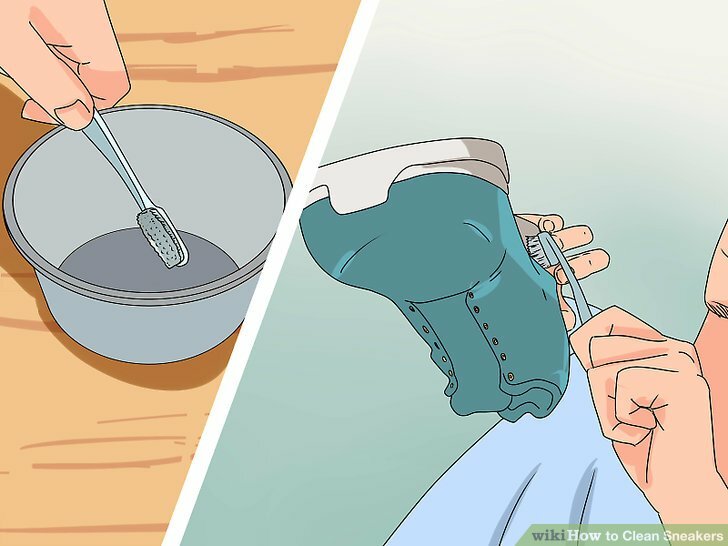 Stir them together to create a paste. 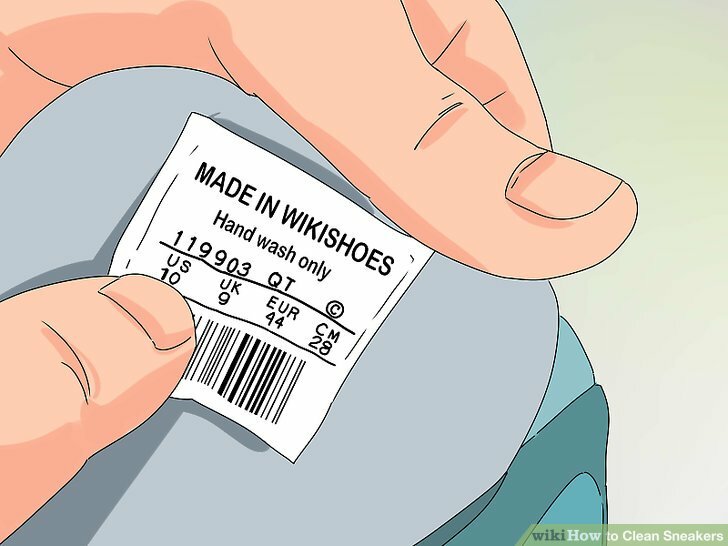 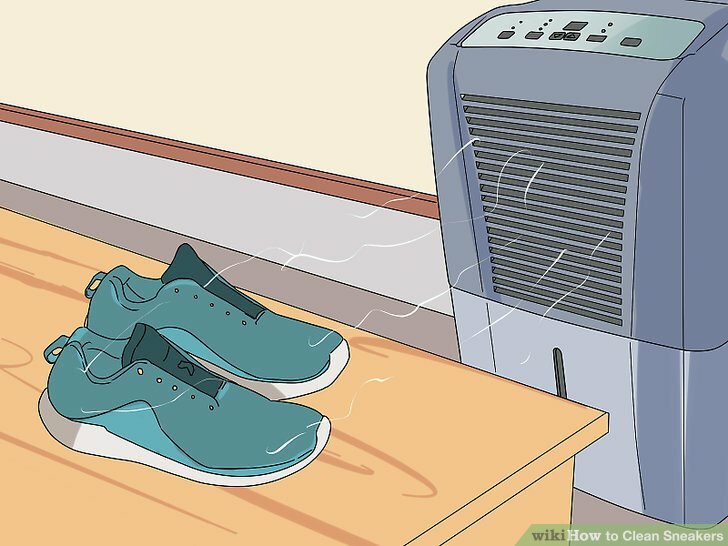 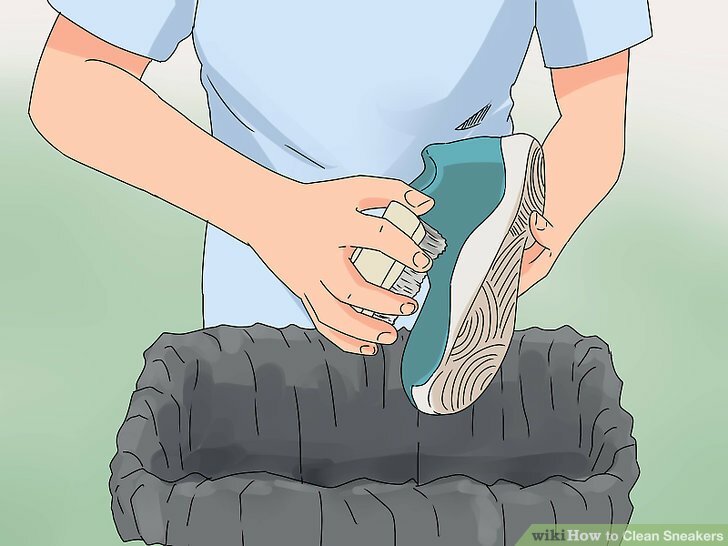 Wipe the soles down with a dry towel. 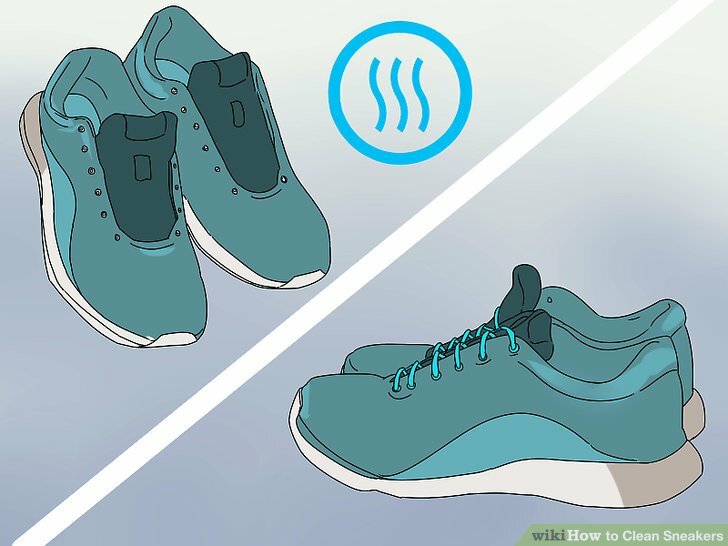 Don’t forget to dry the bottoms, too, so that you don’t slip if decide to wear them right away. 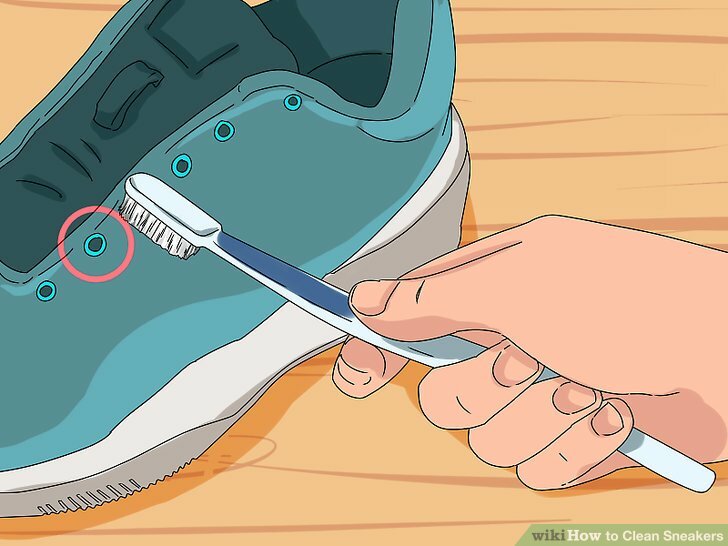 Enjoy your clean shoes!